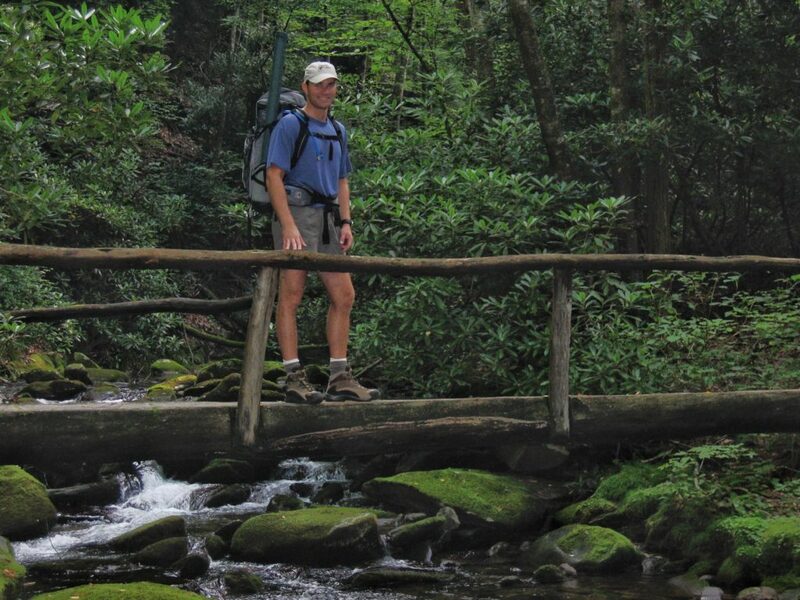 Travis field testing a new (at the time) Osprey Atmos 50 on a Backpacking/Fly Fishing double-header in the Smokies. 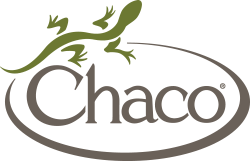 For the next little while, we’ll be profiling the folks who are the backbone of Great Outdoor Provision Co. Though their roles may differ — from outfitting you for adventure, to managing stores, to determining the gear we carry — they share one uniting trait: a love of outdoor adventure. Today: Travis Zarins, Vice President of Merchandise and part of the owner management team at Great Outdoor Provision Co.
Travis Zarins learned the importance of functional gear while he was a ski instructor at Cataloochee in the North Carolina mountains. 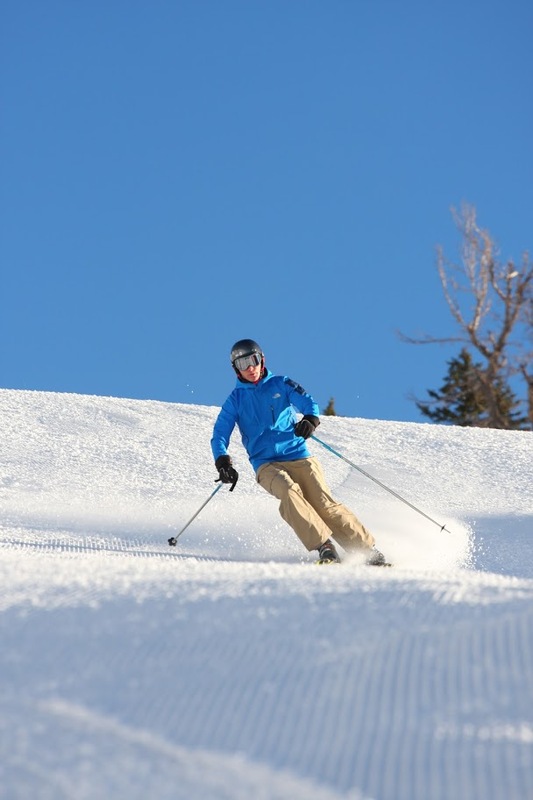 “A lot of the time when you’re skiing in the North Carolina mountains it’s not freezing and snowing, it’s 36 degrees and raining. I ended up with a Seattle Sombrero” — a hat more commonly found on hikers in the rain — “and black Gore-Tex rain pants” — more typically worn on backpack trips and long hikes in wet climes. Travis worked as a part-time ski instructor while also working at the Great Outdoor Provision Co. store in Charlotte’s Park Road Shopping Center. Great Outdoor did a pretty good job of outfitting the southern ski instructor, considering it doesn’t deal in snow sports. His winding up at Great Outdoor was, however, appropriate considering his outdoor apprenticeship growing up in Concord. “We lived in a pretty much undeveloped area. We had a creek running through the backyard and we were surrounded by woods. My brother and I would leave in the morning and not come back until night.” Nearby Lake Norman was a popular destination, especially for weekend escapes, and after college at UNC Charlotte he got into whitewater paddling, encouraged by his brother, who was working at the Nantahala Outdoor Center. He’s also done some mountaineering, climbing 14,410-foot Mount Rainier in Washington in 2001. We caught up with Travis upon his recent return from the Outdoor Retailer Summer Market in Salt Lake City to learn about his role as V.P. of Merchandise. Q. How long have you been with Great Outdoor Provision Co? How did you get started? I started working part time at the Park Road Shopping Center store in Charlotte. Part time led to full time, which led to a position running the former store in Durham, then helping to open the Chapel Hill store in 2005. I eventually moved into buying sportswear, outerwear and lifestyle footwear, then became Vice President of Merchandise in 2011. In 2013, I was part of the four-member management team that purchased Great Outdoor Provision Co. from founder Tom Valone. 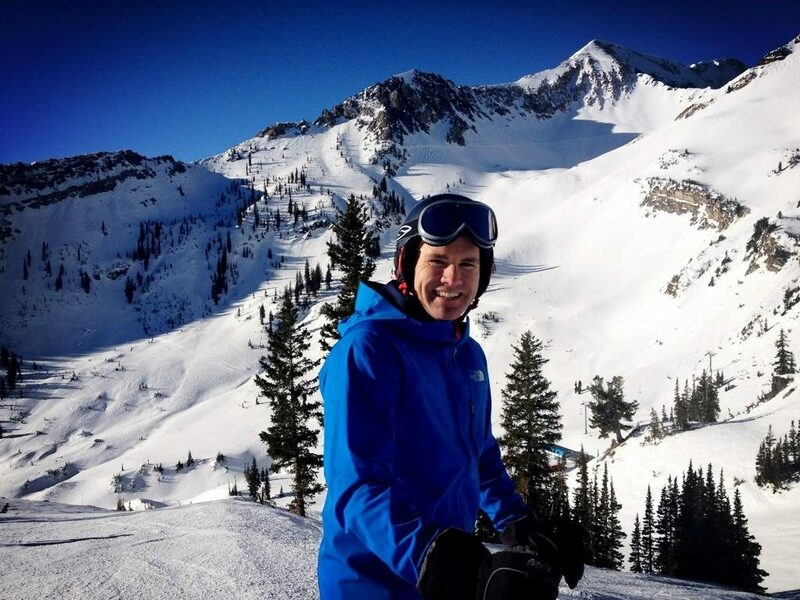 Travis taking a breather during a run at Mineral Basin, Snowbird, Utah. Q. As V.P. of Merchandise, are you responsible for every piece of gear in all 9 stores? Our four Product Managers — Amy Quinn, Rich Chisholm, Bittu Ali and Scott Wood — do the homework and make most of the individual selections. I provide the view from 10,000 feet as we look at the metrics of their buys and merchandise plans, prioritize vendors and coordinate any marketing and merchandising needs. Q. How do you and the four Product Managers decide, from the multitude of gear and clothing options, what makes it onto Great Outdoor Provision’s shelves? 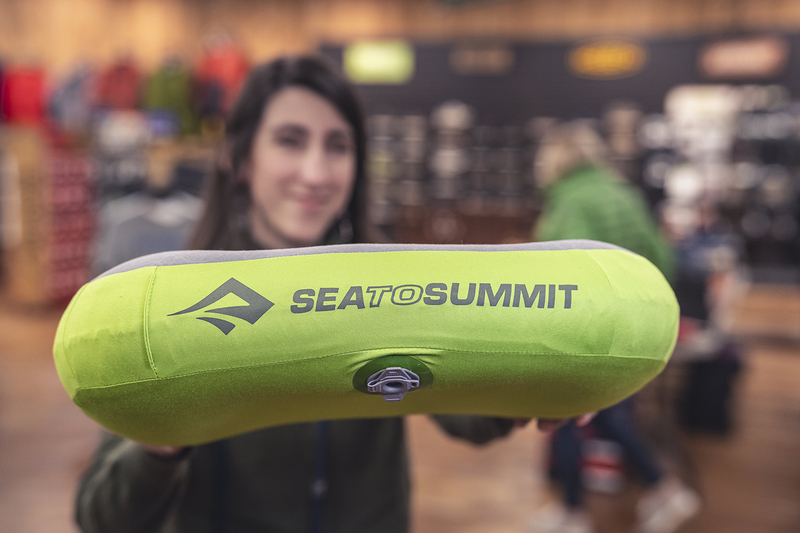 Q. You’ve just returned from the Outdoor Retailer Summer Market in Salt Lake City, where manufacturers display their lines, including their new stuff. Can you name a new item or two in the past that you saw beforehand and knew immediately would be a hit? We had Waldies, which became Crocs, before they were popular. We stocked Vibram’s FiveFingers shoes about a year and a half before they caught on. Of course, the problem with being the first is that customers look at it and say, “What they heck is that?” So it can take a while to catch on and sell. The same with camping hammocks: we looked at those years ago and thought, “Cool!” We were also ahead of the game with HydroFlask and Smartwool socks. And, of course, we were there from the start with Patagonia. 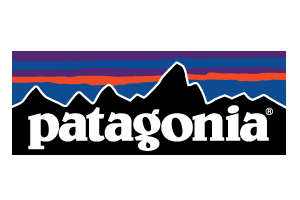 We started in 1972, Patagonia got going about the same time, expanding from just climbing hardware into clothing and other gear. We had the same ethic and we’ve been tightly aligned ever since. We’ve had Mountain Hardwear since the beginning as well. Q. Anything you thought would be big — and wasn’t? Occasionally. Whenever that happens, it’s always a mystery. It’s usually a good product, but for whatever reason it just doesn’t catch on. Travis near Salt Lake City (but not at the Outdoor Retailer show). Q. What did you see in Salt Lake that excited you? Gregory is coming out with a new line of lightweight backpacks in the spring. And I got to ride a Onewheel, a one-wheeled motorized board. Q. How has gear changed not just since you started in 1996, but from when you were first a user, cavorting in the woods of Concord? Everything has just gotten better. I remember when I first started selling backpacks you’d be carrying 70 pounds on your back. The packs, the sleeping bags, the sleeping pads — everything is getting lighter, which makes backpacking so much easier and accessible. It’s not nearly as hard on your feet and back. When I started there was no such thing as a softshell. That is, material that breathes more than a waterproof hardshell, but is more water resistant than fleece. That’s been huge. Insulation has gotten a lot better. The Nano Puff blocks wind, is water resistant and weighs next to nothing. Fleece, fleece has gotten better, too. Q. What are your favorite pursuits currently? Well, we have 6-year-old twins to chase around, so I haven’t done a lot of whitewater paddling recently. I run, but yeah, we mostly run around after those two. Q. Got a favorite place to play? I love Umstead Park. Umstead is a fantastic resource to have right here in town.